JMI Insurance is Oregon’s top provider of Mobile Home Park Insurance and RV Park Insurance. 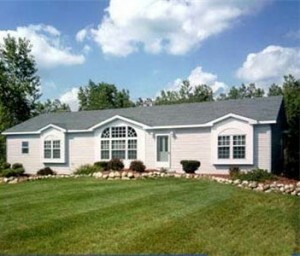 We are also specialists in Manufactured Home Insurance in Oregon. We manage your insurance needs no matter the size of your property or the number of units under your management. 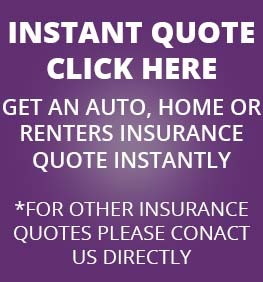 We specialize in this niche insurance market which gives us the focus needed to offer premium service to our clients. We provide more comprehensive and broader coverage with competitive premiums in the Mobile Home Park Insurance business. JMI has over 20 years of experience providing insurance to property management companies, mobile home parks and other similar businesses. We specialize in protecting the livelihood and investment of property management companies all across Oregon. Our insurance plans are designed to protect the investments of mobile home park owners and offer specific coverage’s specific to your industry. Our mobile home park insurance program offers Property, Inland Marine, Liability, Crime, Garage Keepers Liability, Tenant Discrimination, Automobile and Umbrella policies. Other similar owners and management companies like those who own/manage marinas are also included in our comprehensive services. We package loans that are customized to your needs including loss control and coverage for a variety of contingencies. As an industry leader we stand out as a premium provider for a much needed form of insurance. Our Oregon Mobile Home Park Insurance offers coverage for all types of mobile home parks including those with secondary services such as RV, community stores, camping, propane sales and golf courses. There are a lot of reasons why Mobile Home Park Insurance is needed. You need to make sure that you and your tenants are covered for a loss due to crime, natural disaster, auto accident or any other number of possibilities. New mobile homes that are for sale need to be ensured in case damage is done to them before they are purchased. Investing in Mobile homes can be expensive and it is important to protect that investment. Other reasons for needing Mobile Home Insurance in Oregon include: Laws and Ordinances requiring it, liability for common areas including swimming pools, tennis courts, playground equipment and much more. Covering outdoor property is also important to have covered by Mobile Home Insurance. Mobile Home Park Insurance is a lot like other real estate insurance for property management. JMI’s Mobile Home Park Insurance is priced competitively and offers the comprehensive coverage you need. Mobile Home Park Insurance through JMI provides true risk transfer which is essential to providing more financial safety. Contact us today to learn about how we can help you get Mobile Home Insurance for your Oregon property.